UK faces major problems with plastic recycling as China has just introduced a ban on the import of plastic waste. The ban came with little warning, which means that the UK will have to find alternative solutions for dealing with up to 500,000 tonnes of plastic that it ships to China for recycling every year. China’s dominant position in manufacturing means that for many years it has been the largest global importer of many types of recyclable materials for its manufacturing industry. Countries like the UK have relied on China as a market for its waste, partly because until recently the Chinese had lower standards than other markets. Exporting to China was a way of meeting higher recycling targets and reducing landfill without having to improve the collections and quality of our recyclable waste material. But now China, in a campaign against “foreign garbage” (yang laji), is simultaneously banning the importation of 24 types of material. This includes polyethylene terephthalate (Pet) drinks bottles, other plastic bottles and containers, and all mixed paper. The Chinese government has indicated it will in future only accept recyclable material with a maximum contamination level of 0.3%. 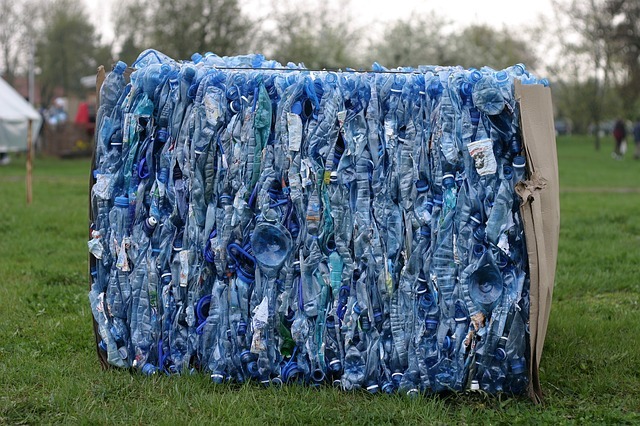 The current situation could be an opportunity for the UK to increase the proportion of recycled plastic in its own products, improve the quality of recovered materials and to use recycled material in new ways. The Chinese decision does cause problems for local authorities and councils leading to stock-piling of plastic waste and a move towards incineration and landfill. The economics are fragile but most agree that a reduction of plastic waste is the long-term goal.